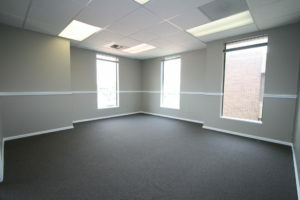 The office building at 4740 Flintridge Drive provides a great opportunity for small business. Featuring both traditional office space as well as several executive office suites, this commercial building is centrally located and has much to offer. Call or email to get more information or to schedule a private tour.